A big hello from EverWild Mousery! improving the colour and type in tan, fox, and pointed varieties of fancy mice whilst providing mouse enthusiasts with quality pets. All mice come with a pedigree sheet detailing their parentage and basic information including their date of birth and genetic background. 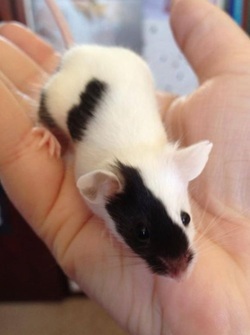 Breeder of quality pet mice in NZ. Our aim is to improve the strains here and to sell healthy, social pets. We have a Facebook page: Gem's Marvellous Mice. Each baby comes with a blankie, food and a birth certificate. Please contact me via messenger on Facebook or via email. Range of colours and patterns avaliable.